Cookies are my absolute favorite sweet treat. Mostly because I like their portability, built in portion control (unless you eat all of them… not that I’d know from experience 🙊,) and the fact that you can eat multiple keto cookies of different kinds without committing to one large dessert. As a person who likes to try a bite of everything, low carb cookies are my dessert go-to. 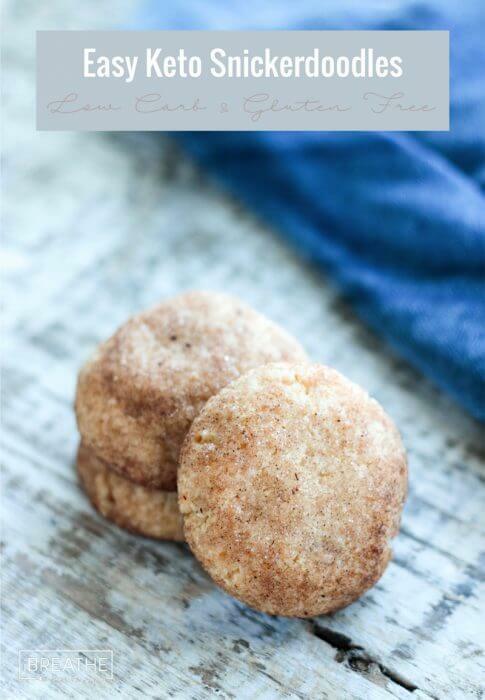 Last year I put together a collection of 30 of my favorite low carb cookie recipes, and now I’m adding a few more to the blog for you to try – starting with these low carb snickerdoodles! Toasty, cinnamon-y, cookie perfection. Believe it. The inside texture of the cookies got a little chewier every day, while the outside stayed toasty and crisp – it was awesome! I implore you to make these keto snickerdoodle cookies ASAP, and then report back as to what you thought of them! I have a feeling that once you try them, you’ll be making them over and over again like I have! 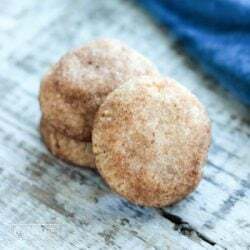 Crispy on the outside, tender and slightly chewy on the inside, these low carb snickerdoodles are everything you love about a great keto cookie! 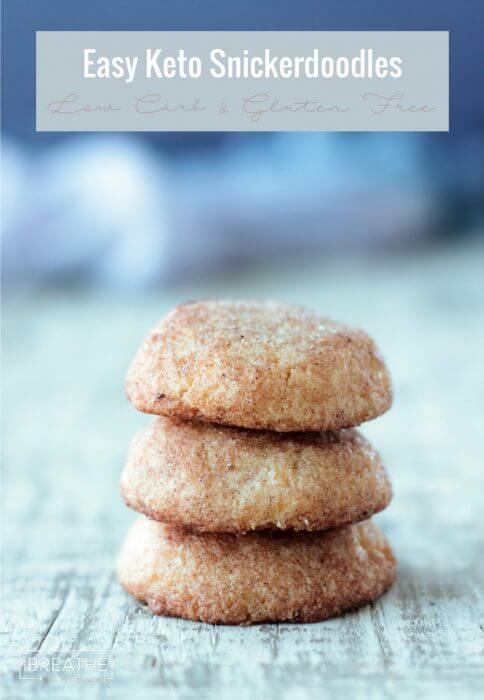 The toasty coating of cinnamon & sweetener make these low carb snickerdoodles simply perfect with a cup of coffee! 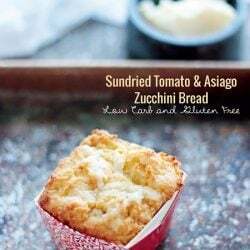 *See the IBIH Pantry Page for the low carb flour and sweetener brands that I use and recommend for this recipe! Was crumbly when i mixed all the dough together so I added a teaspoon of backing powder, have a teaspoon of avocado oil, a little bit of water as well as some more butter, it turned out great! Wow. These cookies are awesome! I did get flat ones. Possibly too warm when rolling into balls with the butter? Think i will try a 10 minute freeze before baking next time which i hope does the trick. Stll- flavor was the best- and ive made many. Used allulose. Nice and chewy. Have u ever tried freezing dough for extended time for ready to bake cookies? So nice to bake up a warm cookie! Thanks so much for the recipe. Just delicious!! 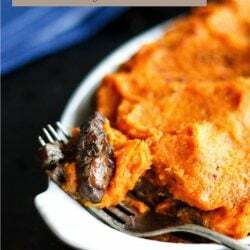 I wanted to like this recipe so very much. Epic fail for some reason. Hard as rocks after cooling, and they tasted like sawdust. Will not even attempt repeating this one. This was my first recipe to try of yours and I was soo excited to try these cookies. A little nervous after reading all these reviews. But I am soooo glad I did. I made sure to follow the recipe exactly. I used the Costco brand super fine blanched almond flour. And “wholesome” Erythritol (about 1/2 cup and 1/4 cup monk fruit, because I ran out of the Erythritol). I read some people had trouble with crumbling while combining ingredients so I thought if that happens I will add an egg as others have suggested. I used a fork to combine and at one point I thought it was just a crumbled mess. But I just kept combining and combining!! And it formed into a ball. I got 22 cookies. They look perfect! I should have made them a little bigger. They are fluffy and delicious! Thanks for a great recipe!! My cookies spread out to about 1/2 inch thick. Taste is good but cookies are flatter than a pancake. My chocolate chip cookies are flat, too. Do I need to add more flour since I am in Florida or what am I doing wrong? This recipe was aweful, I think they should have had a couple eggs in the mixture. Glad I didn’t double the recipe like I was going to. A waste of expensive ingredients. I input this recipe into my cronometer and got a VASTLY different net carb count than you did. I’m showing 15 net carbs per cookie, using the lowest carb ingredients i’m aware of. Confident in my numbers, there are likely errors in your site’s database (which is why I don’t use them) or they are counting the erythritol carbs in the net. Perfect in every way! No need for egg or anything else these turned out beautiful and are the perfect snicker doodle for anyone wanting something sweet on keto. I am however having tomrouble entering this into MyFitnessPal as it says each cookie is like 11 carbs? I use swerve as my sweetener and kerigold butter and sifted almond flour. Any idea?? Ugh MFP is the bane of my existence – they are wrong most of the time when it comes to calculating carb because of errors in their database. It could be in your case that they are counting the erythritol towards net carbs, though they don’t impact blood sugar and aren’t usually counted in the total. I’m confident in my numbers, but if you want to go with the MFP, you’ll have to input each ingredient separately to see where they are wrong and test their numbers against the USDA database or Calorie King, which is what I use. I made these last night following directions exactly. They came out looking good but as soon as you touch them, they crumble into powdery crumbs. I’m thinking an egg should be added to the ingredients for some kind of binder. Now to figure out how to salvage these cookies that crumble. Thanks for the recipe. You must let them cool completely as directed – then the erythritol solidifies along with the butter and they will not crumble at all, even without an egg. However, if you remove them too warm, they will not have set and will crumble. When the recipe is followed as directed and the cookies are allowed to cool completely before handling, no egg is necessary. That being said, some have used egg with good results. So I was a little hesitant on making these because the reviews were kind of mixed. I used almond flour from costco and swerve granular sugar. They came out tasting really good! I will say-you have to let the ingredients mix for a a lil bit for everything to become mixed well together. While baking, they expanded a lot more than I had expected, so my cookies basically became one giant cookie. – I think next time I won’t flatten them as much and space them further apart. One thing to note for newbies- when you take them out of the oven, they are definitely jiggly and not very solid. But one you take it out of the oven and let it sit for a bit, they do harden up. These cookies were super delicious (one of the better keto recipes I’ve tried out) that even my non keto friends enjoyed eating these. They are crunchy on the outside and just melt in your mouth. I found the same thing. Next time I think I’ll leave them as balls and see how that goes. Also the recipe says cool SLIGHTLY before serving but in the comments above it says completely. They definitely need to cool to harden! They were yum though…. just like a cinnamon donut! Followed the recipe to a T and this was not good based on the taste. Its like i liked them with inital bite because the cinnamon and sugar hits your younger then once you chew the them it they takes like simply flour and butter. I’m starting to regret that I bought her book if this is what her recepies tates like. Its like someone cooked chicken and only seasoned it with black pepper. These are my favorite cookies and now I can make them sugar free! Wow!! I made these for my husband who LOVES snickerdoodles and he says they are so far the BEST keto treat I’ve made yet. Glad I made a double batch! I made these today following the recipe as closely as possible. I am in Australia. I used Costco superfine almond flour and natvia sweetener. I mixed the dough up in my Thermomix for 30 seconds on speed 6. Worked out brilliantly. This cookies are amazing!!!! My kids live them. I have to hide them lol. I followed the recipe and added and egg. Thanks for the recipe! These were pretty good, but they definitely need the egg. Next time I will add a bit of cream of tartar, a little less cinnamon in the coating mixture, and since I use tend to use unsalted butter, I will add a pinch of salt (it just didn’t occur to me at the time that I should). I’m not a fan of any of the keto sweeteners, but I used Truvia in this recipe because it was what I had on hand. The cookies tasted fine, if maybe a just little sweet on the coating. Overall for a Keto recipe, these were pretty tasty. Thank you. There is absolutely nothing “natural “ about Splenda. Don’t poison yourself. I always feel like the cream of tartar in most snickerdoodle recipes gives a unique flavor. Would it be possible to add it to the recipe or would that ruin it? I just made these according to your recipe, and they are delightful! I think you’d be ok adding a little for flavor Angie! I was so skeptical about making these after reading all the comments about them not turning out. I used Kirkland Blanched Super Fine Almond Flour and followed your recipe. I was also worried about not having an egg in the dough. These turned out perfect! Next time I won’t bake them as long, but they look and taste like the real thing! I’m glad I trusted the recipe as written and didn’t try to adjust. Thanks so much for the recipe! I read the other reviews and was a bit nervous to bake these, but I used Swerve and followed the directions and me and my husband LOVED them. I am actually making them again because my husband gobbled these down in one day… I have passed on the recipe to my friend who is on Keto- thank you!!! I followed the recipe, and the cookies did not turn out. I used a stevia sweetener and add 1 egg. It turn out so delicious. Thank you for your recipes. Tired these with and without egg. Definitely add 1 egg!!!! I also use Monkfruit sugar, which is my favorite over them all. My kids absolutely LOVED the ones with the egg. Had to throw out the others. I used Truvia instead of erythritol and they are 🎶🎵awesome🎵🎶!! The longer you let them cool, the firmer they get. Thank you for the recipe! This worked really well for me. I think I’ll switch to Monk fruit sweetener next time so there will be less aftertaste. And 15 minutes was a little too long for mine as they burnt a bit on the bottom. My oven or my low altitude? I don’t know. Very good! I was really surprised. I used coconut sugar as my sweetener instead. I found the recipe easy to make and follow. I have to make a second batch because my son liked them too! After reading some of the comments I was worried these might be a fail. Nope! Never had one of your recipes let me down,yet! I was worried because when I pulled them out of the oven to check them I lost two that half slid off the parchment into the oven door.They were very soft looking.After cleaning up my mess I put them back in for two more minutes. Still wasn’t sure about them when the timer went off. I left them to cool and when I came back later to take them off the cookie sheet I was amazed how nicely they crisped up. I used Lakanto monk fruit sweetener and these were delicious. Might have to hide these from my husband! We really did not enjoy these cookies. Super sweet with a strong aftertaste. As many reviewers said – they tend to flatten and crumble. If they fell apart you didn’t follow the recipe exactly. Did you allow them to fully cool? 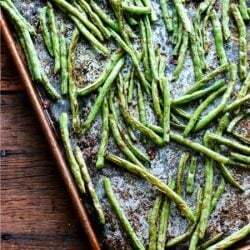 Did you use superfine blanched almond flour? Did you sub a different sweetener? Any of these things could cause the cookies to not turn out. They melted out too much. I think Swerve works better. Also, everyone, you have to let cookies cool completely, before you try to eat them. This recipe is incredible! Made it exactly to the instructions the first time and we loved them. Then I followed a suggestion in a comment and added an egg yolk and 1 tsp vanilla. I also cut the sweetener in the cinnamon mixture to 1 tsp sweetener to 1 tsp of cinnamon (for my taste). Love the result. Thank you for the recipe! My household is Keto and LOVES these! You’re doing something wrong. Using a different sweetener or a low quality almond flour – there’s no other explanation when this recipe works fine for myself and so many others. Sorry I don’t have any experience with high altitude baking – would adding an egg help? I have not made them but I am wondering why there is no egg to help lift the cookies? I love love love these oh Yum! This receipt didn’t call for an egg? That’s what I’m wondering. They looked and smelled perfect, but the texture was dry and a little crumbly. I feel like an egg would’ve help to be a little more adhesive. If you used the granulated erythritol sweetener and superfine blanched almond flour in the right quantities, there is no way they could have disintegrated like you described. I had the same problem. I used Xylitol in the recipe, which is supposed to be a 1:1 match with erythritol according to what I found Googling, and all other ingredients as listed. They turned into a flat mush. I saved the mush and will likely turn it into some sort of breakfast food for the next few days, but boy were my daughter and I disappointed! Mine did the same thing. I used granulated Swerve and superfine King Arthur almond flour. The cookies were flat, wet, and mealy looking. When they cooled, they were dry and crumbly. My ingredients were fresh, I measured and followed the recipe exactly. I am an experienced baker, but this was my first time for keto cookies. What could have happened? Great recipe! I’ve been disappointed in the past with Keto-friendly cookie recipes, but this one worked well! I can’t figure out why others had trouble. Mine flattened a bit – looked like a regular sized cookie, tasted great and did not crumble at all! I followed the recipe except added a small egg, and used 1/4 cup Swerve brown sugar (because I didn’t have quite enough granulated Swerve). I baked them for exactly 15 minutes. Allowed the cookies to cool on the baking sheet and had no problem moving them after cooling. They were crispy outside and tender/chewy on the inside. Texture of a real cookie! Thanks for the recipe! Love these! I found Simple Mills Snickerdoodle cookies in stores, but they are comparatively MUCH higher in carbs. These turned out great and really feed that craving. Thanks! I am frustrated today. I have thrown away another batch of expensive flour because the taste is not good. I am one month in on Keto and need a tasty snack. 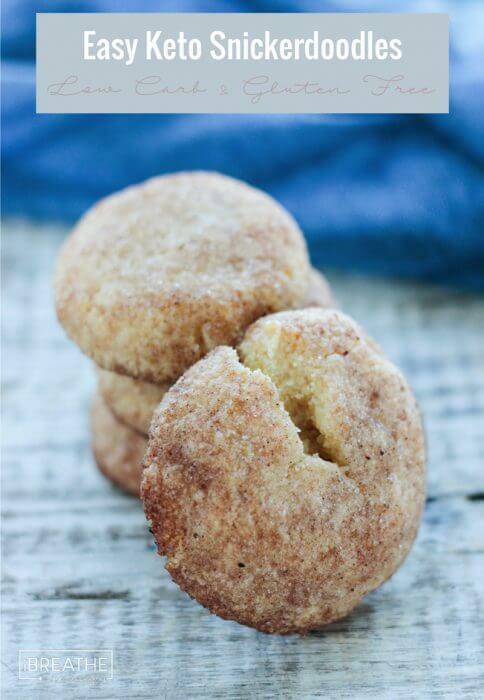 I’ve tried several Keto snickerdoodle recipes and this is my favorite. Great texture and flavor! Thank you! There’s 4 net carbs per 2 tablespoons of almond flour..
There’s also 4g of carbs per tsp of this sweetener… so therI s about 96 total carbs- not counting the almond flour. My results yielded 19 cookies, I divided that by the total carbs and the net carbs per cookie comes out to almost 7.7 net carbs per cookie, not 1.5. Eat more than two and ur close to being kicked out of ketosis. Every product is different so someone please tell me how she came up with 1.5 net carbs?! WRONG. 1 cup of almond flour has 12g net carbs. The sweetener is a sugar alcohol that doesn’t affect blood sugar and is not counted towards net carbs. Bob’s Red Mill almond flour has 6 net carbs per quarter cup. So there are 24 net carbs per cup. I made 19 cookies and got 3 net carbs each. They were delicious! Actually, sugar alcohols do affect blood sugar, especially in diabetics. They don’t cause as much of an effect as regular sugar. The American Diabetes Association recommends diabetics count half the carbs in sugar alcohols in the net carb count. Depends on the sugar alcohol. Maltitol affects blood sugar a lot. Xylitol affects blood sugar a medium amount. Erythritol doesn’t affect it at all. There are easily findable studies on that if you google it. 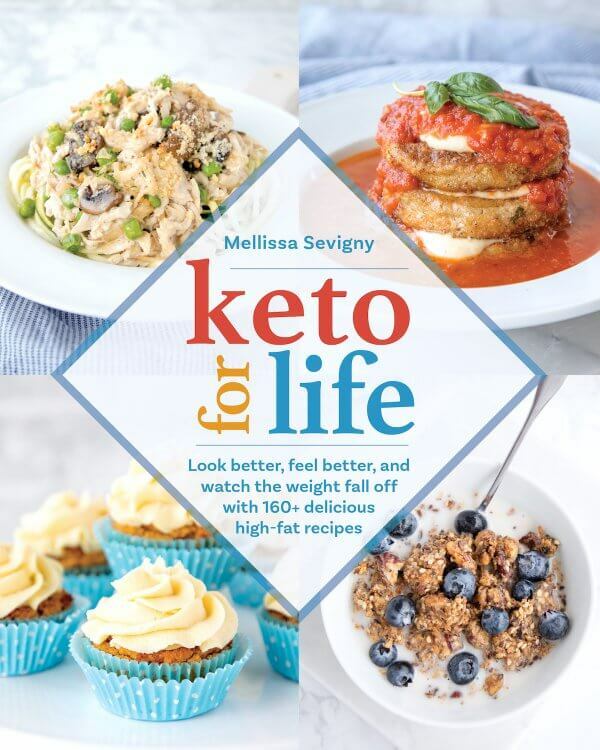 That’s why Melissa and a lot of other Keto folks use erythritol. I’m type 1 diabetic and erythritol does cause my blood sugar to rise. But I’m making these cookies anyway. The flavor of these cookies were amazing! However, they came out as flat as a pancake and I followed the recipe to a tee. I thought it was because my first attempt I melted the butter. But when I tried it a second time with softened butter and 1/4 more baking powder, they were still flat. Very buttery too. Almost too buttery, leaving my fingers very greasy. I felt like I could have made the recipe with with less butter. Even still, the flavor of these cookies was on point. Just as good as any regular snickerdoodle. Chewy and slightly crisp, the flavor was amazing. Are you using granulated erythritol and superfine blanched (no skins) almond flour? I can’t think of any other reason that you would have this problem unless you are not using the correct ingredients? Could that have been the problem? I made them again, but didn’t flatten out at all, and they turned out perfectly. Thanks again for this delicious recipe! okay, I think I know what I did wrong. I used baking powder instead of baking soda. I’m trying it out again tonight. These cookies were delicious! Upping my review up to five stars now that I see my mistake. These are by far the worst cookies I have ever made. I don’t have erythritol can I use monk fruit instead? I made them today with Lakanto brand Erythritol/monkfruit and they turned out great! Mine also came flat and burned but the flavor was good, as regular snickerdoodles, couldn’t stop eating them. I will experiment with the recipe since I was using granuled erythritol (Swerve) and blanched Almond flour, maybe less butter. I love your booked btw. Were you using blanched superfine or just blanched. If it’s not superfine and has a coarse consistency then it won’t work. I made traditional Snickerdoodles today for my daughter’s school function and the craving levels were high. These hit the spot! I added 1 tsp. vanilla and an egg yolk to make the texture more closely resemble my traditional recipe. Thanks for posting this!! Thanks Allison, I’ll try an egg yolk next time! How did adding a egg yolk work out for anyone who has done it?? Mine completely stuck and crumbled, and I sprayed the pan and parchment. I used monkfruit instead of Swerve, but the oddest part is that they just never spread. I did flatten them slightly, so it threw me for a loop! They are definitely really tasty, though!! I may have eaten a few of them raw…haha. This recipe was amazing! My colleagues had no idea this was an almond flour keto cookie! How did you come up with the carbs? I added all the ingredient nutrient facts and divided it by the serving amount and I got 9 total carbs for one cookie. Net carbs are different than total carbs. She showed the net carbs in the information. I made these exactly according to the recipe and they’re awesome! I wouldn’t change a thing. As good or better than any snickerdoodle I’ve ever had! I plugged these into my fitness pal recipe builder and got 8 net carbs per cookie!! I followed the recipe exactly and they came out so delicious! Next time I’m going to try adding a little vanilla extract. Will definitely make again! My favorite Keto cookie so far! Thank you for this quick and easy cookie recipe. After a few stressful days, I was wanting something sweet to eat. When this recipe popped up in my facebook feed, the short list of ingredients convinced me to get up and try them. I know I’m not supposed to eat for emotional reasons, but so what! I ate four of them (really filling) and I’m feeling better! I followed the recipe just as written and they turned out perfectly. I do think that having the correct types of ingredients is the key. Yet another wonderful recipe! I subbed baking powder for soda (because I couldn’t find that little orange box ANYWHERE), but they are absolutely delish. I tried the recipe as is, and then I made some adjustments. I’m a professional pastry chef and sugar artist on Keto (yes, I know lol) and while the original recipe tasted good, they didn’t taste like snickerdoodles. Too powdery and missing the tang of cream of tartar, which is pretty much the signature flavor of a snickerdoodle. I subbed 1/2 cup of the almond flour for coconut flour, added two eggs and 2 tsp cream of tartar. Rolled and baked as directed and they were absolutely fabulous! 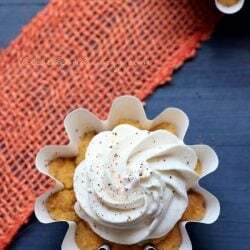 Great basic recipe if you’re not picky about the tangy snickerdoodle flavor. Thanks for sharing your tweaks with us! I made these and I am good with the taste, however mine fell apart?? How do I make them firm? I always throw a healthy sprinkle of xanthum gum in all my recipes- make sure the alternative flours hold together. Just keep a packet of it open on the windowsill and use us whenever I bake. I am curious as I do find that the addition of coconut flour with almond flour yields the best texture in baked low carb goods… I too planned on subbing out 1/2 C of the almond flour for the coconut flour…. I was thinking about 4 to 5 heaping tablespoons would suffice, but if I added eggs, I think I’d need the whole 1/2 C of coconut flour. Thoughts? I read the comments and I couldn’t figure out how to make it congeal. I tweaked it just as the professional pastry chef did and they are AWESOME! A definite fav! I made it your way, forgot and added the original baking soda too. Splashed some vanilla extract and add the cinnamon to the dough. Came out amazing! Need to figure out some icing! Oh my these are so good. My oven doesn’t bake as fast so I baked a few extra minutes. I put all 16 on one baking sheet and they expanded so much it looked like a sheet cake! Lol. But they separated fine. Must let them cool before moving. But still….packed with flavor. I could only eat one! Shew! I used King Arthur super fine almond flour, Swerve granulated sugar and all the other required ingredients in the exact measurements listed and mine flattened out almost completely, with a bump in the center and burnt around the edges, in the oven at just 12 minutes. They somewhat hardened upon cooling but some fell apart even after cooling. Followed the recipe just as it says including the super fine almond flour. Any ideas what could be the cause? They still tasted really good but I don’t see why they would flatten. Mine did the same thing. I believe it should say baking powder, not baking soda…. No it’s baking soda that I used and others as well with success, it’s likely that it’s your flour that’s the problem. I mistakenly used baking powder instead of baking soda and mine turned out flat too. It couldn’t have been the powder then. I’m wondering what I did wrong too. I had to add an egg because the dough was just powdery flour. But they came out perfect with the egg. Any tips for making this recipe nut-free? Is the recipe a typo when it calls for baking soda instead of baking powder? I followed the directions exactly and have never had an issue baking LC treats and mine are liquid and puddled completely flat. Good grief! These are beyond fantastic. Delightfully crunchy around the edges and buttery fabulosity in the middle. No way do these taste keto…which has just sent me to the moon. Thank you, Mellissa! Can I just say O. M. G. Awesome cookies! Mine didn’t stick together very well, probably because my almond flour isn’t super fine, but wow do they pak some flavor! Only thing I did differently is I skipped rolling them in cinnamon & erythritol, added the cinnamon to the dry ingedients instead. Also added an egg and a pinch of cream of tartar. I must have done something wrong. They never hardened while baking. They are like liquid. I followed the directions exactly. Disappoint I wasted all those expensive ingredient for cookies in the trash. I’m sorry but there is no way you followed the directions exactly and they ended up like liquid. I just followed the recipe exactly using superfine almond flour and mine are a big burnt puddle also. I see a lot of people saying the same thing. Did you use blanched super fine almond flour or the Bob’s red mill with the brown flecks in it? The skin of the almonds in the non-blanched doesn’t work well in baked goods so that could be the problem. Otherwise I’m not sure how you could have gotten a burnt puddle in such a short cooking time at that temperature. You don’t seem to handle criticism well. On every single person that had trouble you either blamed the ingrediants or the person stating they couldnt have followed the recipe. It is quite possible that a recipe can have inconsistent results. Recipes aren’t inconsistent – cooks are. If a recipe works perfectly every time for some and not so for others, then it’s a problem with execution or ingredients. Doesn’t matter if it’s my recipes or someone else’s. If someone comes here and asks what went wrong, I’ll try to help them figure it out so they can get better results the next time. The only way to do that is to find out what the problem was and it’s different for every circumstance. 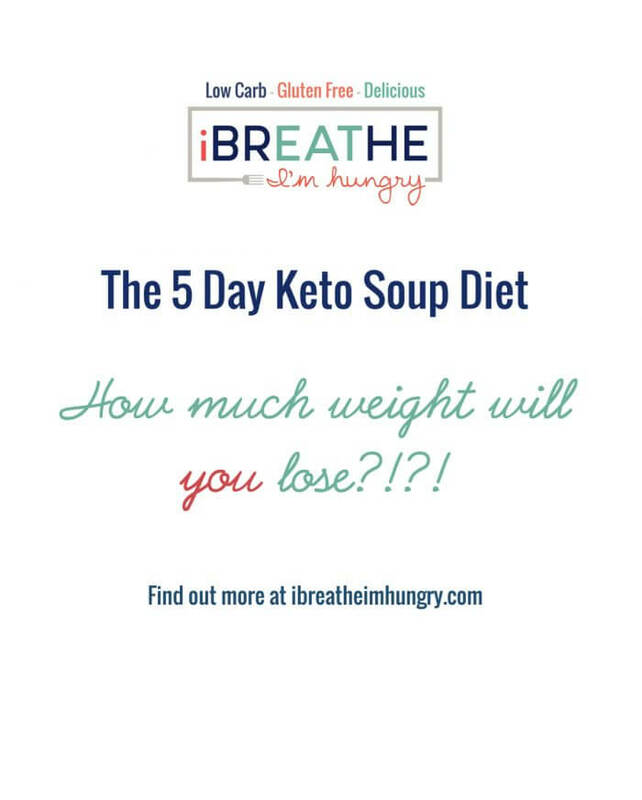 However, since I have a lot of experience working with keto friendly ingredients, I can tell when the problem is coarse almond meal vs. a superfine almond flour that is called for. And in this recipe, that’s almost always the problem. Did you try to remove them from the baking sheet right away? I have to let mine settle for about 3-5 minutes once they’re out of the oven before transferring them to a cooling rack or they will be mushy. Once on the cooling rack, they harden up quick. Would I use the same amount if I were to use stevia or any other sweetener instead? Any sweetener that measures cup for cup like sugar you can use the same amount of – otherwise you’ll have to calculate the amount you need using whatever your sweetener equivalent to sugar is which you can probably find on their website. ooo doggie these were terrific! I made a half a batch (litmus test for my expensive almond flour) and I want to go right back now and make a double batch. Thank you!!! I think it is supposed to be baking powder instead of baking soda. I made them both ways. With baking soda they came out super flat and crunchy. With baking powder they were more like the picture, needed to be flattened a little to make the cookie shape! Next time I plan to mix both together and see if they come out somewhere in the middle. Oh my gosh! I’m addicted! I’m making my second batch of these. My family and I love them. Just made these and added two eggs. Very cakey and delicious. Still trying to find a recipe of yours we DON’T like! Did you use super fine almond flour or almond meal which is courser and sometimes still has the skins on? If so that could have been your problem! My cookies were delicious but very crumbly after they were baked. I used less sweetener but I wonder if my almond flour isn’t super fine. New to this way of cooking, my bag just says Almond Flour. Would that be my issue? My kid and hubby thought they were great tasting too! It probably is your almond flour Nicole – next time try the superfine and you’ll get more authentic texture in your baked goods! I like to get it on Amazon for the best prices! I cannot stop eating these!! Thank goodness I halved the batch!! Love your recipes and thank you for all your hard work! I made these cookies for Christmas last year and they are amazing! I am trying to put together a binder of all of my favorite low carb dessert/sweets recipes and this one is at the top of the list. F.Y.I. I am someone who loves raw cookie dough and I did try these, in fact I have mixed up the ingredients minus the baking soda on occasion when craving something sweet. Thinking these would be good as cookie dough truffles dipped in sugar-free chocolate! I followed the recipe exactly, but when I flattened them slightly with a glass, the spread out on the pan into one giant cookie, which I sliced into squares and made low carb ice cream sandwiches with. When I made a second batch, I didn’t flatten them at all and they turned out perfectly. Exactly what happened to mine. And I followed the recipe exactly… with superfine flour. These turned out terribly. I followed directions to a “T” and ended up with crumbs in my bowl. Would NOT hold together. Added an egg. No difference. Had to add about 1/2 cup of heavy whipping cream to get close enough to form balls. Great!! I added a bit of almond extract to half the batch…. Delightfu! Hands down some of the best cookies I have had on my keto diet. Making another batch as I type. Thank you for such a awesome recipe. I had to post a comment to follow up on the last one. These cookies hardened up fast, which was great since I couldn’t wait to taste them. Definitely better than other low-carb cookies I’ve tried. I made 12 larger cookies. Definitely check your cookies at the half-way point. I used my toaster oven on the convection setting, ehuch is prob why mine cooked quicker. Adding almond flour to the shopping list. I’ve been avoiding baking while we re-start keto but these look awesome! I made these the other week and for some reason they didn’t turn out. I bit into one and it was dry and crumbly and not too sweet. Not sure what I did wrong in the process. First, I love your website. I’m trying very hard to adjust to a low carb/keno lifestyle and it’s HARD. I’m also a professional pastry chef. Hello, temptation all of the time. This is my very first attempt at keto baking, I’ve done GF but with rice/potato/etc starches. I admit, I was terrified. I’m making COOKIES with WHAT?! I used your recommended Swerve off of Amazon, again first use. Bought specifically for this recipe! I followed your recipe with the exception of using unsalted butter and adding an extra pinch of salt. The dough came together perfectly with a fork. I used a #3o disher which yielded 15 cookies. Close enough for me! They’re SO GOOD. The texture is fantastic. Yes, there is a cooling factor to the Swerve in the outside dusting as mentioned in another comment. I found that it added to the cookie. It made the cookie more satisfying, I ate it slower and savored it more. I’m packaging these up for the freezer so I can share them with friends this weekend! Thanks so much Rachel – coming from a professional pastry chef that’s high praise!!! I was sweating it a bit as I started reading your comment lol! Glad you liked them!!! Before I go any further, I want to say these cookies are wonderful! My cookie “batter” was barely substantial enough to shape into a ball, but not for rolling in the sweetener/cinnamon mix. I ended up adding an egg, which most likely caused my cookies to spread/flatten. I know it wasn’t my butter–it was room temperature soft, but not melted. At any rate, they’re the best low-carb snickerdoodles I’ve had since going grain-free. In fact, this might be the best cookie recipe I’ve tried since going low-carb. Additionally, they’ve only gotten better a day or 2 later. As a self-professed cookie monster (cookies are my weakness), it’s a miracle I’ve not eaten them in one sitting. I attribute this to the fact that they’re quite sweet and very satisfying! Thank you, Mellissa, for a simple, common ingredient, recipe! Just took these out of the oven. 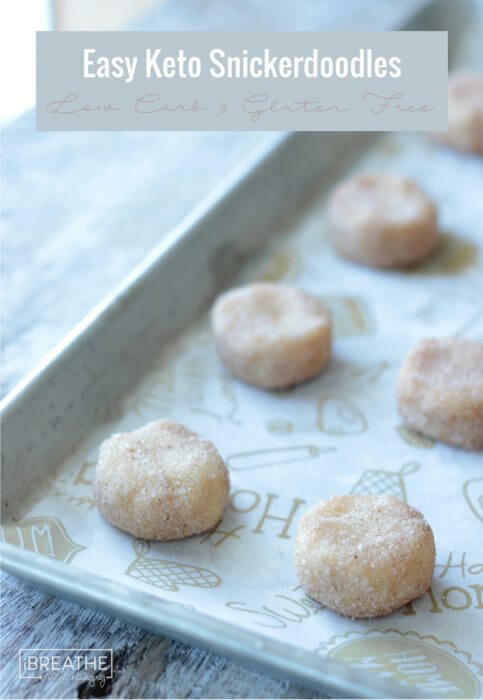 They are so close to a regular snickerdoodle and delish! I made a double batch. I’ve tried other low carb snickerdoodle recipes but they all had way too much cinnamon. These are perfect. 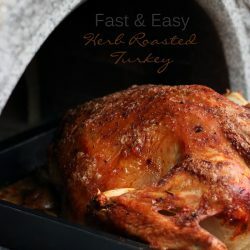 My only problem was the cooking time was a bit long in my oven, I had to cut way back – almost half the time, but they are still great. Thanks so much! Thanks so much for this comment! I was just sitting here reading the comments while the cookies were baking and after reading yours, I jumped up to check on them. They had 2 minutes left, but were really brown. They spread out onto each other and there’s no way I could try one, yet….they’re way too soft. Crossing my fingers that they don’t taste burnt. The only cookie I made for Christmas this year! Loved them! 2.5 months on keto, and I am so missing cookies! Can’t wait to try these!! Can coconut flour be substituted for the superfine almond flour? I really want to try this but I only have coconut flour. I would like to know if there is another suggestion for flour, too…I often substitute hazelnut meal in situations like this because I can’t have almonds. It’s far different, I know…do you have any other recommendation for a sad case like me, flour-wise? These look so delicious! Sorry but the texture would be completely different – not sure it would even be edible but if you try it and it works please let us know! Melissa, these are my all-time favorite cookie. I am very familiar with the high carb version using cream of tartar and was wondering if you had a reason for usind soda instead. yummy these look scrumptious , thanks for sharing the recipe :) a must try ! Have been kinda/sorta keto for about 6 months now and your site is awesome! Yum. Cannot wait to try these! 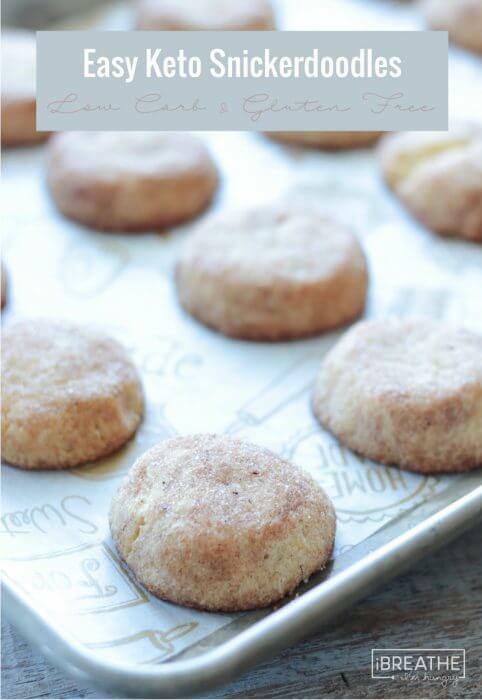 OMG- I love Snickerdoodles and having a healthy recipe makes them even better! I will have to try these out this weekedn! These were great. I’ve lowcarbed for a decade and cookies rarely are worth making in my experience. I default to bar/brownie types of recipes, or cakes, etc. I thought these were awesome! I used confectioners swerve with the cinnamon as the topping (but granular erythritol in cookie itself). I’m baking extras for my diabetic neighbor. 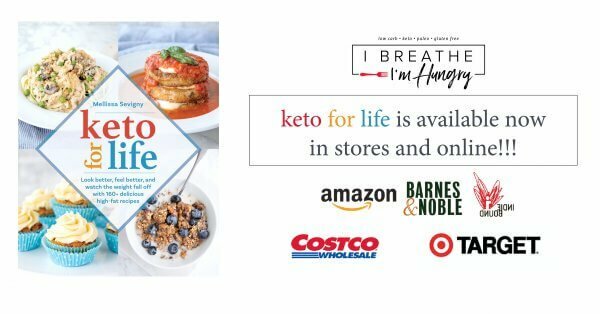 Thanks so much for the feedback – it means a lot to me since there are so many low carb cookie recipes out there! My Fitness Pal for these amazing cookies! These look delicious! I have cut out almost all of my sugar and flour hoping to curb some crazy headaches! The only problem is I still have a sweet tooth and would love a cookie! Just finishing up week one of your daily meal plan and am down 6 pounds! My family is super supportive, but worried that we’d have to go without cookies this holiday season. Snickerdoodles are our favorite, so I’ll say in advance, thanks for saving Christmas! Delicious! My Granddaughter and I loved them! Easy, peasy, too!! Thanks! 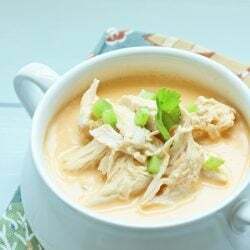 This recipe popped up on my Google now feed and I was so excited because I already had everything on hand! I told hubby I was making cookies and less than 10 minutes later I had these in the oven. We’ve been together 9 years and I had no idea hubby”s favorite cookies are snickerdoodles. I haven’t seen his face light up like that ever when he realized what I was making. Thank you so much for the keto friendly recipe! So easy and yummy! I just made these. They were delicious! I actually forgot they were keto friendly for a minute there. They taste just as good as regular snickerdoodles! Snickerdoodles are my all time favorite cookie! I can’t wait to try this recipe! All your recipes are so easy to follow! Thank you! Can’t wait to try them. They look yummy!! I never thought of using anything other than the brand of almond flour I use (a popular one) but if this is cheaper…. I’m in! lol I plan to try it! Thanks so much for the recipe. I made these last night and they were so good! I used Bob’s Red Mill Almond Flour and granular Swerve. I mixed up the dough using a fork because I didn’t want to get out a mixer, which worked out perfectly, and used a 2 tbsp scoop to measure them out. Doing it this way, the recipe only yielded 15 cookies, versus the 16 mentioned. I wanted to eat them right away, but realized that I had to let them cool almost completely otherwise they were going to fall apart. So I slid the parchment onto a cooling rack and left them be for a little bit. They set up really nicely. The only downside to these was that they had a strong cooling effect from the erythritol on the outside of the cookie. I didn’t notice it as much when the cookies were slightly warm (maybe I ate them too fast to notice), but this morning I noticed it quite a bit with my coffee. It didn’t bother me much, but worth noting. Overall, it’s a really quick and easy cookie to make, so it still gets 5 stars from me. Thanks for the detailed comment Cheryl! I like these even better with the superfine almond flour, but I’m glad you had good success with the Bob’s! I definitely notice the cooling effect with Swerve sometimes and I know that people who are sensitive to it have had good results with mixing a few sweeteners instead of using all Swerve so feel free to try that as well!!! Interesting to know. I just made a batch using Bob’s Almond flour/meal, and while they are delicious, I was noticing that cooling you both mentioned. I’m new to Swerve and wasn’t aware. I had already been thinking I might use less next time, but there WILL be a next time. I love your blog , your humor, and your recipes…..except for the almond flour. Don’t get me wrong…almond flour is great except for the price! I cannot afford 13.00 for a pound of the stuff. Google recommended these cookies on my Google Now feed. I had everything on hand so I tried them. They are so easy and turned out great. They spread a little more than in your pictures, but absolutely looks and taste like traditional snickerdoodles. Thanks for the recipe. I will definitely make them again. My husband is diabetic, and I am happy to have another option for a low carb snack for him. Thanks for the feedback Lori, glad you guys enjoyed them! These look really good. I have been trying (notice trying) oing kto, although it is quit tough. I do not think I have this sweetener, I will have to look for it. You can use any granulated sweetener Ellen, and hopefully if you stick with keto for awhile it gets much easier after the 2nd or 3rd week of being consistent! That’s when my cravings usually go away and it feels easy! Had to whip up cookies to bring to an after skating event and these were just perfect!! 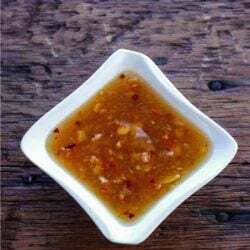 Quick, easy and delicious – the perfect trifecta!! Awesome Nicole, thanks for letting me know they were a hit!!! I’m all choked up just SEEING this recipe. Bless you! Unfortunately I’ll have to wait to make them until we are no longer snowed in. LOL Koshie, I got all choked up just seeing the words “snowed in!” 😂 Hope you like the cookies once you get shoveled out!!! I really like this, partly due to this is deffinately cookie season, and it is pretty eady snd quick. Really easy, really good; I’m going to make a batch next week for the office Christmas party so at least ONE dessert will be low carb! I’m thinking I might add a little no-sugar cocoa powder though, and see how that works out. Love the cocoa powder idea Rob, let me know how that works out for you!!! I added 1 tbsp of cocoa powder, and it wasn’t really noticeable. I don’t know if using more would dry them out too much, though; maybe add one more tbsp of butter to counter? Really, they’re so good without the cocoa, it may be just as well to leave it out altogether. I wonder what mixing the cocoa powder into the cinnamon and sweetener mixture and dipping would do? Kind of like a mexican coffee flavor? Oooh maybe a little instant coffee into the mix too. I feel some experimenting coming on! Let me know if you beat me to it! So excited to make these Melissa! One of my favorite cookies. Thank you! Ohmygosh Melissa! I haven’t had snickerdoodles in years. One of my all-time favorite cookies. Thanks for making it low carb and SO easy. You’re welcome Debbie, I hope they are as good as you remember!!! Ummmmmm totally making these today when I get home from work!! My mouth is watering already! 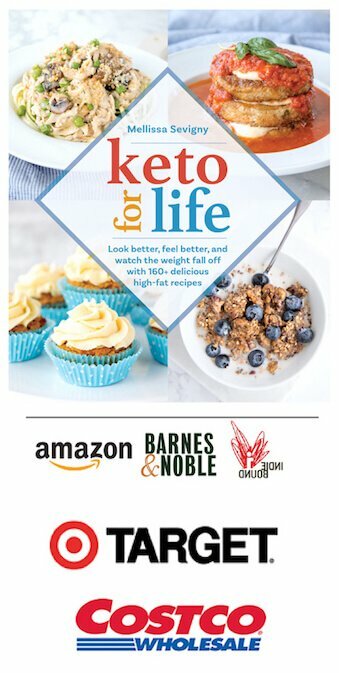 Just started my Keto journey and your blog is AMAZING! Thanks so much Teresa! 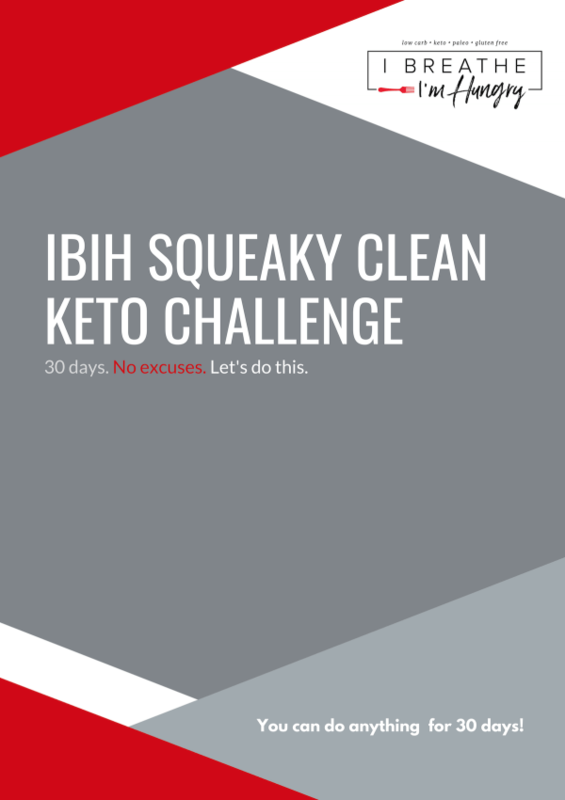 Hope you have great success on keto and enjoy the cookies! So sad!! 13 carbs each is not KETO! Look at the count again. There is a period between the 1 and 3. You can add nuts if you want, you’ll have to account for them in the nutrition info though. I’m newer to low carb baking. 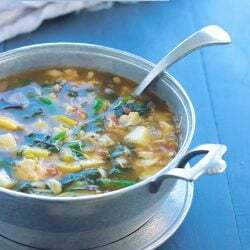 Is it correct that there is no egg in this recipe? I mixed the ingredients with a hand mixer and didn’t get a stiff dough, but was able to roll it into balls. But when I baked the cookies, they spread out quite a bit and I wasn’t able to remove them from the cookie sheet. It’s nothing like I’ve ever seen. Any advice? Definitely don’t need an egg, though if you wanted to add one that would be ok but may change the texture! It’s possible that your dough was overmixed by the hand mixer or your butter was melted and then it spread out too much. Next time you can chill it a bit if it’s too soft. I recommend a parchment-lined cookie sheet because it makes it a thousand times easier to remove any cookies or baked goods! So I did use parchment and after I gave the cookies a bit of time to rest on the pan, they were easier to transfer to a cooling rack. Would you recommend mixing by hand instead with an electric mixer? The dough was crumbly but did come together with a cookie scoop. Also, I used erythrotol (so?) for the sweetener and it seems a bit too sweet for me. Can I adjust it down a bit or will it change the structure of the cookie. I have baked loss with traditional recipes, but I’m finding low carb recipes to be a learning experience. I was lazy and didn’t feel like getting out either of my mixers, so I just used a fork to mix it up instead and it worked perfectly. I would definitely suggest trying that next time. I agree with Cheryl, try mixing with a fork instead next time and you may get a better texture. You can use a little less sweetener according to your preference too if you want! Ok I looked over the recipe when I got in from work. I took the butter out to soften while I napped. It’s 10:25pm I just took the cookies out of the oven. I was too impatient to wait on the “cool a little bit” part :) IT’S PERFECT! My goodness I’ll have another before bed. I must admit I looked at maybe three other recipes and yours was the Least Complicated and ready in no time. I just didn’t have an hour To let dough sit in the refrigerator. THANKS A MILLION! Just put these in the oven! I also used unsalted butter, but added a couple of pinches of salt… not too much… I can’t wait to try these! I can’t wait for you to try them either Renee! Let us know how you liked them! These look awesome! Can’t wait to make them! Hope you like them as much as we did Tere! Oh…my…Glutton!! So, I was thinking I’d make these and freeze a few to have on hand when the rest of my family comes home for the holidays. Guess I’ll be making another batch or two (or three). These are my new favorite. And you weren’t kidding about how quick they are to make. With some pre-planning (softening the butter) and a little mise en place, these are done in a jif! Once again, you knocked it out of the park! Your recipe calls for salted butter, but I usually use unsalted. Any idea how much salt I would need to add? I would say an additional pinch beyond what is already called for should do it! Thanks Stephanie, they are super good! What if you cannot handle this particular sweetener. It gives me a bad stomachache any substitutions? Any granulated sweetener should work but may change the texture a bit – xylitol would work well if you can handle that! can you make these using coconut flour & swerve.